Men (and women) from all over the world and throughout history have been in search of pleasant sites and sounds, tastes and sensations, and attitudes. 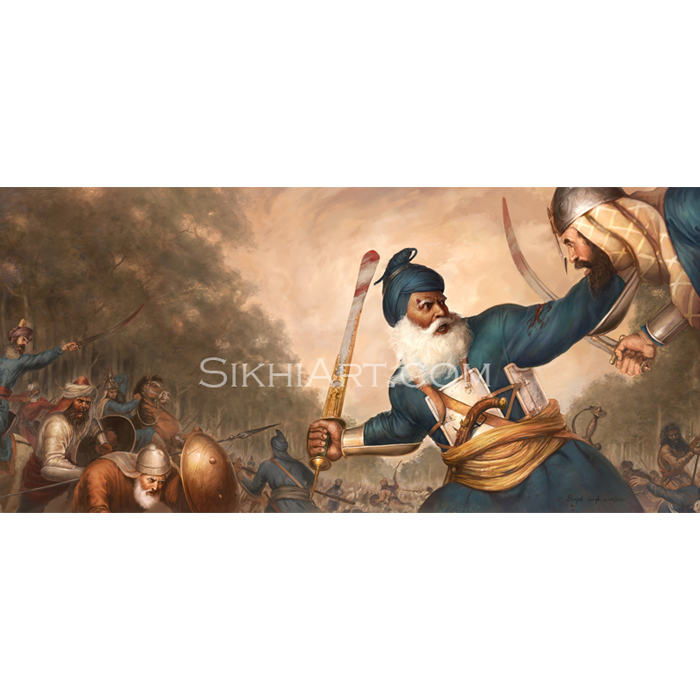 They noticed that even in the best of times, without sickness, death and horrors of old age, happiness and pleasure could only be felt temporarily by having to repeat things like eating delicious food, having professional success and celebrating festivals. Many over the ages accepted this as a fact of life, and lived their lives around reiterating this temporary relief. However, some began to wonder whether there was a form of happiness that was not dependent on having one’s family and friends within arm’s reach, or taking all kinds of drugs. They began to train their attention from moment to moment experience to see whether there was a greater happiness to be discovered at all, one that was independent of sensory experience. This lead many to believe that if there was such an experience to be had, it should be available in places where delicious food, friends and family, and such were nowhere to be found. This rationale led many to give up their family life, and led many to further renounce the world, isolating themselves in a cave or a desert or mountains, places no different to solitary confinement, where they began to take notice of their experience and of subjectivity itself. Over the ages, these people claimed to have found an alternative to the contingent experiences of happiness and well-being. Many introspective techniques were developed by these people, who came to be known as ascetics, mystics, saints and bhagats. One method, developed by those who preferred to live in a family, without renouncing the world, was known as the ‘Discipline of Bhagati’. It involved things like kirtan(singing hymns), simran (training one’s attention) and seva (service), among many others. Such practices were advanced and popularized by the proponents of the ‘Bhagati Movement’ including Bhagat Kabir, Bhagat Namdev and Sheikh Farid. 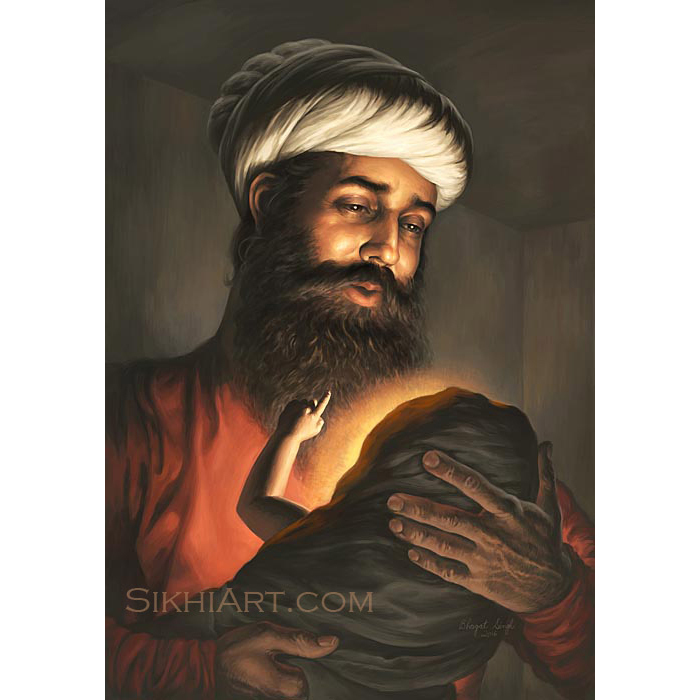 The first Guru of Sikhs, Guru Nanak Dev ji, was also born in such an environment. 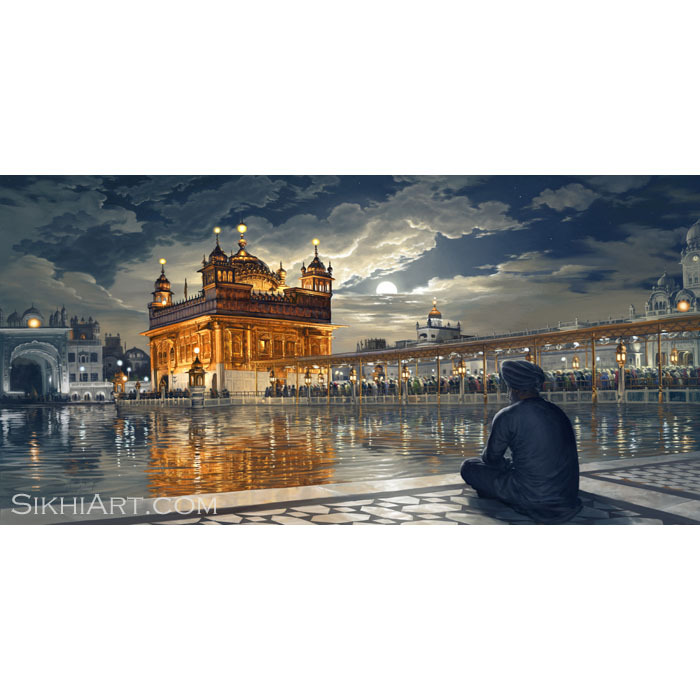 Guru Nanak Dev ji loved to meditate, and took every opportunity to make introspective efforts. He slowly became detached from his family, and the customs and traditions of his own family, while still living a life of a householder. He saw that the bliss, happiness and mental stability, he achieved from such practices could be achieved by anyone. Like Kabir, Namdev and Farid, he also prescribed some of the methods of Bhagati to his followers. 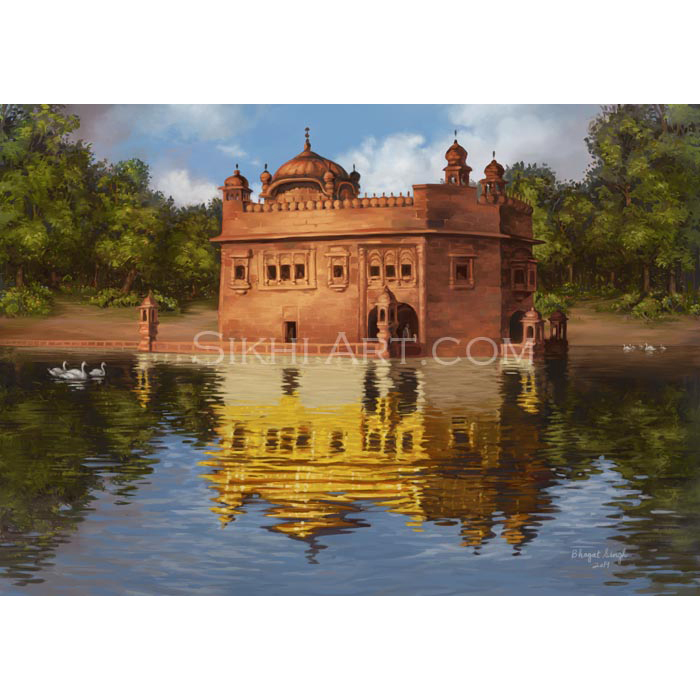 Guru Nanak composed a lot of poetry and music during his lifetime. 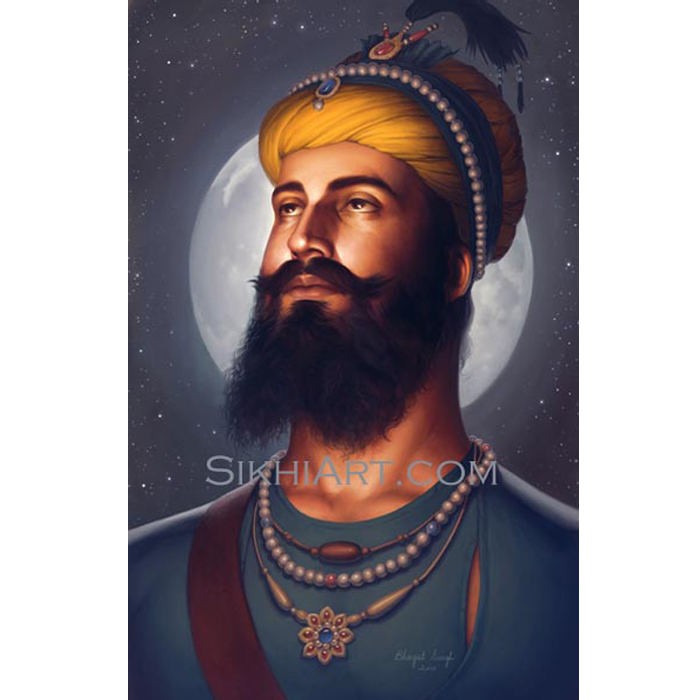 He spent most of his lifetime singing his compositions (kirtan) through which he preached moral values and spiritual practices. 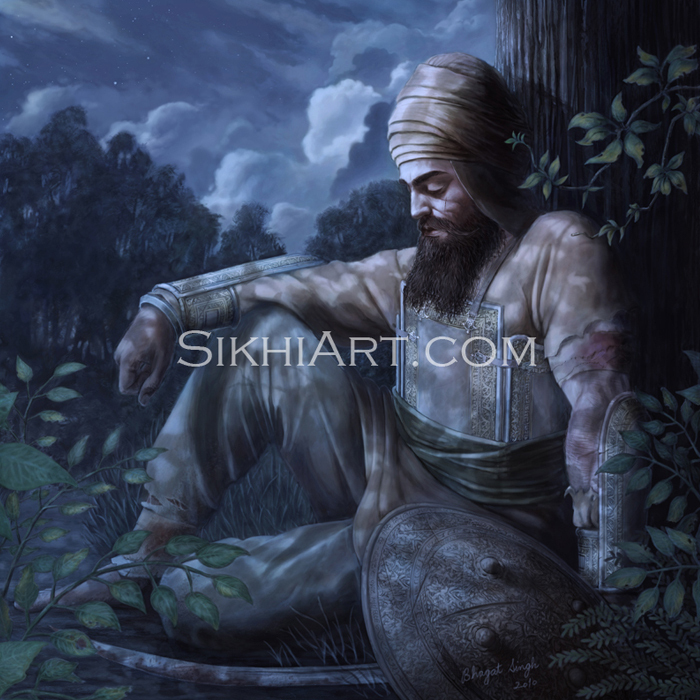 Poetry and Music were excellent tools for speaking against damaging societal norms and corrupt political figures, and thus were powerful tools in Guru Sahib’s repertoire. His friend and lifelong companion, Mardana, aided him in this journey. Nine years after his marriage, he decided to travel the world, and spread his message of love, equality, tolerance, and the ‘Discipline of Bhagati’. 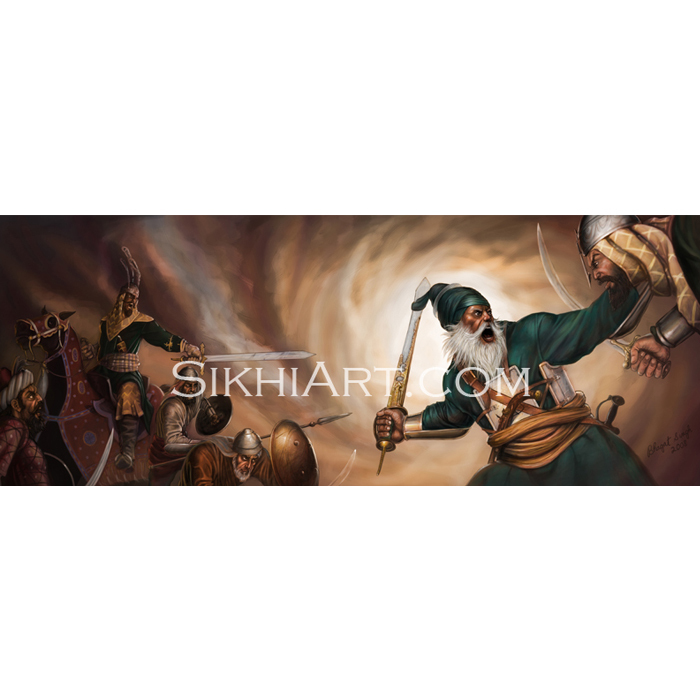 Ever since, Guru Sahib gained much popularity and influenced many people to follow this path. 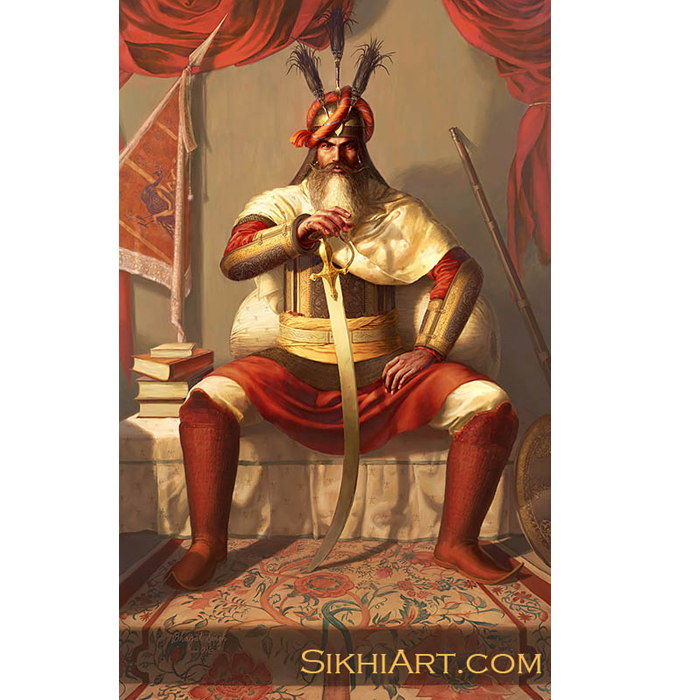 His followers came to be known as Sikhs, and his path, Sikhism. 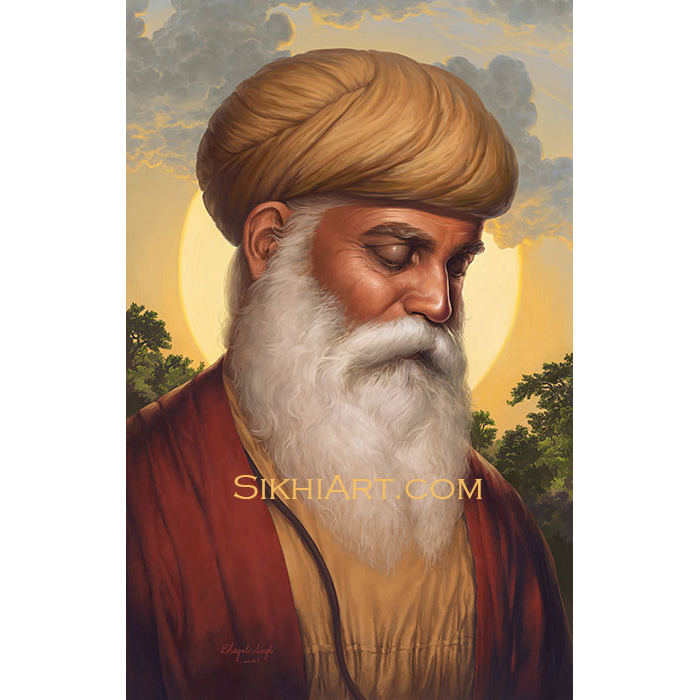 He inspired a series of nine successor Gurus, who lived Guru Nanak Dev ji’s message; who inspired by such a message developed egalitarian social practices, while continuing to spread spiritual practices. Latter successors eventually took political and military actions to combat an ever-growing tyranny and ensured the survival of their people.